I recently built an example of the Form History Pattern using an Addressbook case study. I found myself talking about App Engine on the On Air tour, so I decided to change the example to not store the data locally with Gears, but instead to save it away into the cloud via App Engine. Why did people want to hear about App Engine at an Adobe conference? 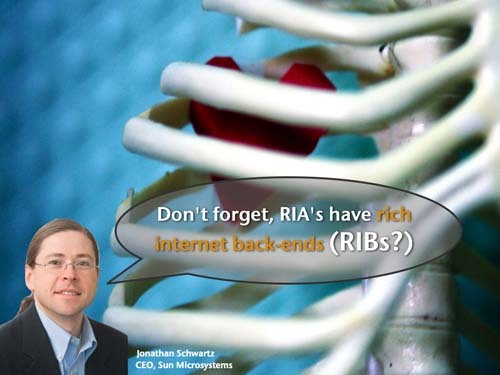 I think that Jonathan Schwartz got it when he mentioned rich internet back-ends. As you build rich clients, you suddenly realise that the promised benefits of web services can kick into gear nicely. Back to the sample. The architecture change was quite simple. 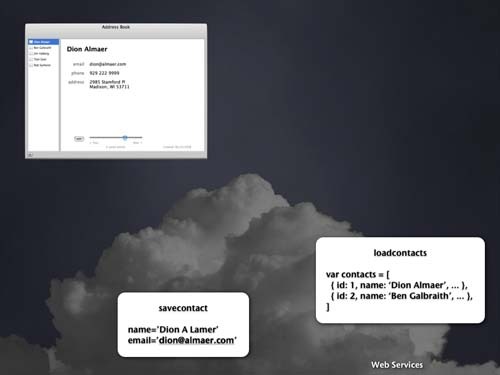 Where I was doing a local DB save, I would call a back-end service such as /loadcontacts or /savecontact depending on the task. Check out the video below, or view the high quality version (recommended) to see the code walk through, and the various tools that App Engine gives you to develop, debug, and monitor your application running at a few thousand feet.